Date of publication: July 18 2013 . Stylish, fashionable, comfortable, smart ... All these eloquent epithets are IKEA furniture and accessories. The list would not be complete without the adjective creative. Chances are that there will be no brand in the world, which will enable the mass of the proposed models to create dozens or hundreds or thousands of new, unique and functional interior. Meet the creation of today's rework - cabinet showcase to hold strong, and not very alcoholic beverages. Note that the idea can be implemented both in white and in color "under the tree" or repaint your favorite color. 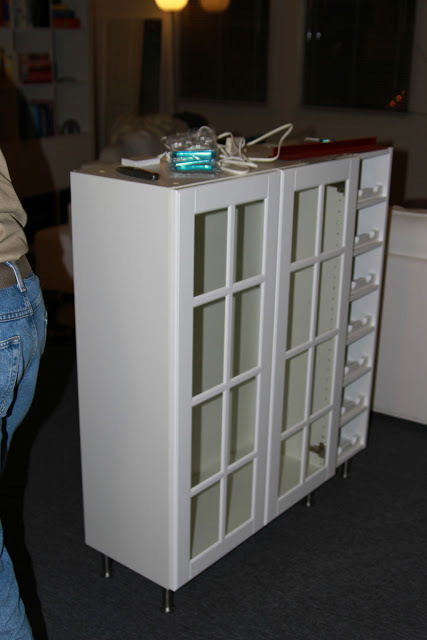 That will have a spacious and tidy locker, which is sure to surprise all your guests. Its manufacturing costs a minimum of time and physical effort, but the result will exceed all expectations. 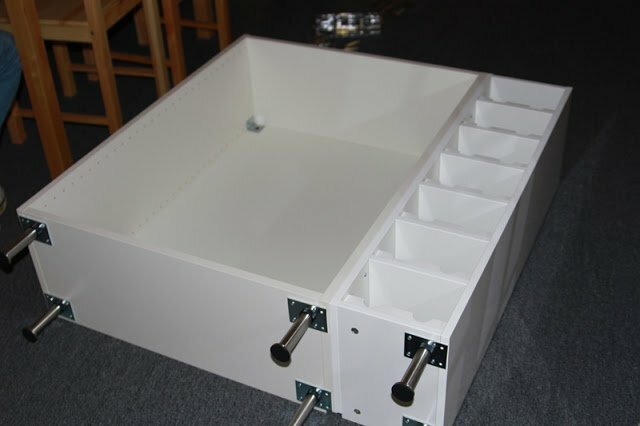 So, first of all combine together wall cabinet and cabinet for wine by means of connecting bolts. 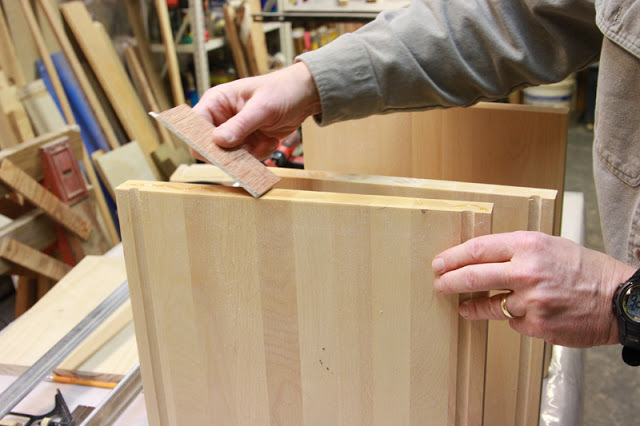 Obtain a frame-template for the future cupboard. Next, you need to tie 6 legs: 4 are located on the edges of large FAKTUM cabinetAnd 2 others - on the edge cabinet PERFECT. They are height adjustable, so you'll be able to vary the setting. For greater ease of future piece of furniture to fasten the cabinet door handles Series SETTA. The set screws are attached to them. IKEA catalog offers several color options. In our version, use transparent, like a drop of water, pens. They look great when ignited installed in a cabinet backlight. Wooden cutting boards in the series BUHOLMEN ideal for countertops. Necessary to make measurement and cut off the extra inches, clean edges and glue them together. 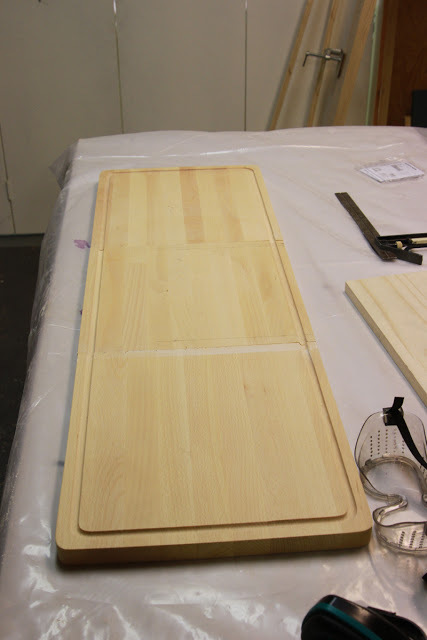 On her wardrobe and can be attached with glue, clamps pressing surface for better grip. To the top of the rack FAKTUM bolts attach the holder to glasses. 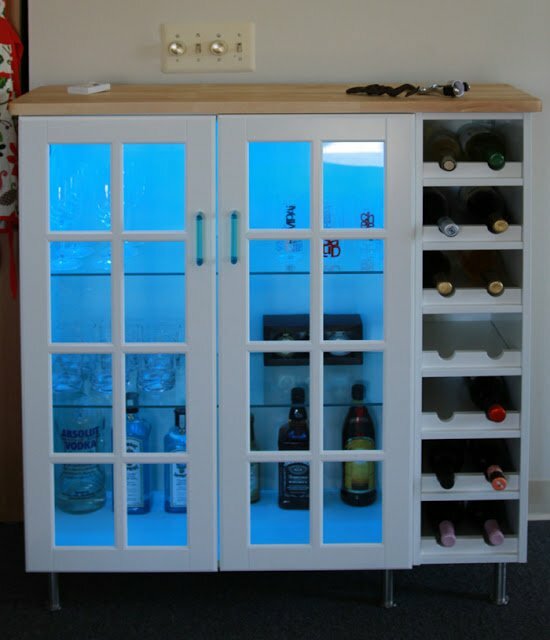 In this same area, you can let the LED backlight, which will give him a kind of flavor and originality. In order that the wires do not spoil the overall appearance, they can be derived through the opening in the cabinet on the back side. Our display cases ready for operation. We can only fill it by their taste preferences, and can be carried noisy parties with friends or secluded romantic evening glass of wine.